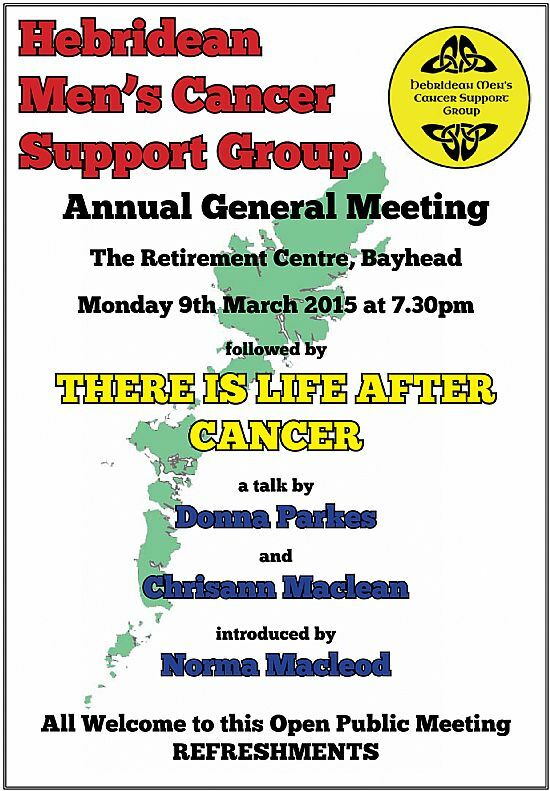 Our AGM is to be held on Monday 9th March 2015 at the Retirement Centre, Bayhead, Stornoway @ 7.30 pm. 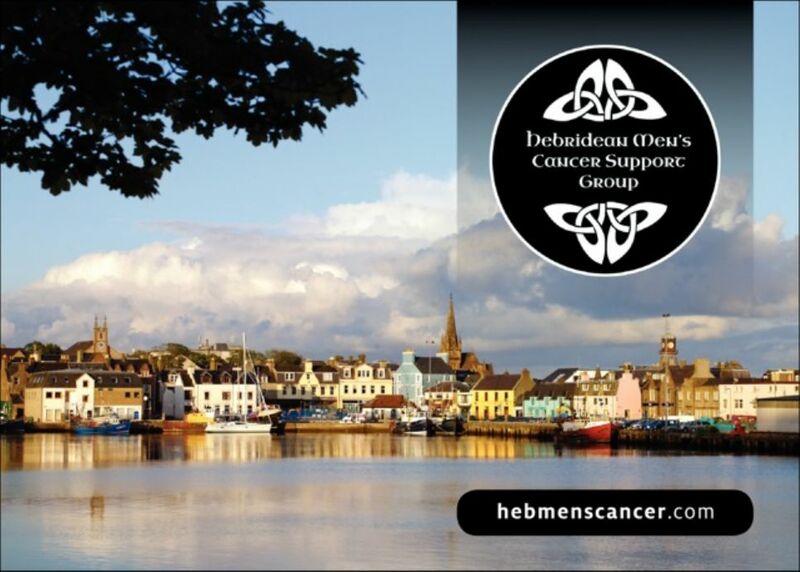 The AGM will be followed by ‘There is Life after Cancer ‘ a talk by Donna Parkes and Chrisann Maclean and introduced by Norma Macleod. Following this talk there will be light refreshments.